All of the 39 m’lachot (creative labors prohibited on Shabbat) are derived from the efforts involved in the creation of the Mishkan (Tabernacle), parts of which were composed of tanned animal skins. Two of the 39 m’lachot involved in preparing these skins were tzad and shochet, the trapping and slaughtering of the necessary animals. The Oral Torah makes it clear that these laws includes more than just the capture and slaughter of herd animals, such as sheep or goats. The rabbis specifically noted that one who killed abominations and creeping things (rodents, reptiles and insects) “on Shabbat is as though he killed a camel on Shabbat... Rabbi Eliezer holds: It is as the rams: just as there was the taking of life in the case of the rams, so whatever constitutes the taking of life [is a culpable offense]" (Talmud Shabbat 107b). When it comes to the question of trapping and killing animals, an exception is made if one’s life is in danger. “If one catches a snake on Shabbat...so that it should not bite him, he is exempt (from any punishment); if for a remedy, he is liable” (ibid). Additionally, in the case of abominations and creeping things, an exception is made if the creature is causing one bodily discomfort (e.g. a mosquito), in which case one may trap or even kill it. If you are in a situation (at a campground) on Shabbat, use a spray-on bug spray rather than swat at mosquitoes. Perhaps the most fascinating proof that leadership among the Jewish people must be earned can be learned from Gershom and Eliezer, the two sons of Moses who births are recorded in Exodus 18, but little more is mentioned of them in the Five Books of Moses. [When it was decided that the daughters of Zelophchad could inherit their father’s property] Moses argued: The time is opportune for me to demand my own needs. If daughters inherit, it is surely right that my sons should inherit my glory. The Holy One, blessed be He, said to him: ’Whoever keeps the fig-tree shall eat the fruit thereof; and he that waits on his master shall be honored (Proverbs 27:18). Your sons sat idly by and did not study the Torah. Joshua served you much and he showed you great honor. It was he who rose early in the morning and remained late at night at your House of Assembly; he used to arrange the benches, and he used to spread the mats. Seeing that he has served you with all his might, he is worthy to serve Israel, for he shall not lose his reward...” (Numbers Rabbah 21:14). Demonstrate to your children (or the children in your life) how to love being Jewish. 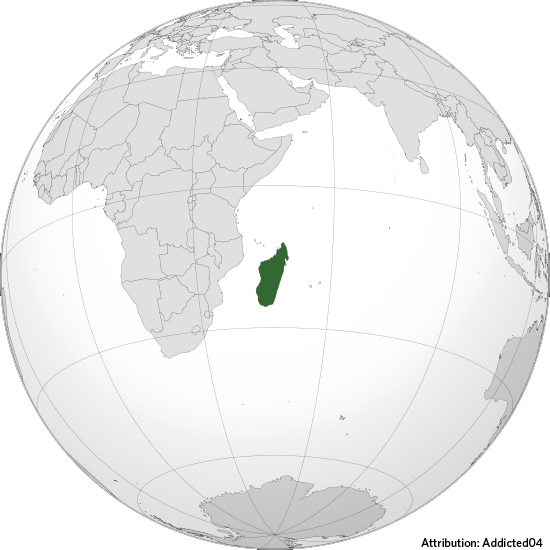 The island of Madagascar has never been the home to a formal Jewish community. There is no synagogue, nor any formal Jewish congregation. And yet, this island off the coast of Africa, which celebrates the 53rd anniversary of its independence today, was, at one time, considered an ideal territory on which to settle the Jews of Europe. Unlike most settlement plans that were developed for Jews, however, this relocation would not have been voluntary. The “Madagascar Plan” was officially proposed in June of 1940 by the head of the Nazis’ Jewish Department of the Ministry of Foreign Affairs. The idea itself seems to have originated earlier in the 1880s, as a suggestion of Paul de Lagarde, a noted Orientalist whose ideas were held in great esteem by those who disliked Jews. In fact, the idea was taken so seriously by others even before the Nazi plan that a Polish committee was sent to assess the location in 1937. Although the committee chairman reported that 60,000 Jews could be relocated there, the Jewish members of the committee felt that the island could absorb no more that a few thousand immigrants. Furthermore, local inhabitants also opposed any new settlers. The Madagascar Plan, which was approved in August 1940, hinged on Germany’s complete conquest of France, who controlled Madagascar at that time. Unfortunately for the many Jews who were later murdered, the Battle of Britain took longer than planned, and the Nazis then turned toward the Soviet Union. The Madagascar Plan fell apart, and tens of thousands of Jews who might have been spared, were left in Europe. *One who studies the Orient, meaning both the Near East and the Far East. Try and keep a few single dollars on hand to distribute for charity. This Treat was previously posted on Friday, July 9, 2012. Whether you are able to fast today or not, take a few moments and contemplate what historic events like the siege of Jerusalem mean to you. Everyone knows about Yom Kippur. There are, however, several other fast days in the Jewish calendar that are not nearly as well known. Tomorrow, on June 25, the Fast of the 17th of Tammuz will be observed. This Treat was last posted on July 6, 2012. A popular joke: Most Jewish holidays can be subsumed under the pithy phrase: “They tried to kill us, we won, let’s eat!” For a nation obsessed with food, what’s with all the fasting? 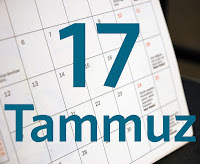 While there are 5 main fast days on the Jewish calendar, only Yom Kippur is of Biblical origin, with the Jewish people commanded to “afflict your souls” (Leviticus 16:29). While some Jewish scholars have opined that fasting makes one more like the angels, it seems certain to all that fasting on Yom Kippur, is primarily a tool of repentance. And this sets the tone for all the other fast days. But the 10th of Tevet,17th of Tammuz and 9th of Av are observed as fast days in mourning and remembrance of the destruction of Jerusalem and the Holy Temples--how is that atonement? Judaism recognizes that different days have different “karma.” The day of Yom Kippur is holy in and of itself. We merely piggy-back the theme of repentance on the holiness of the day. So too, Tisha B’Av, the 9th day of Av, is not a good day for the Jews. It wasn’t only the date of the destruction of both Temples, but a number of other calamities as well. On such an inauspicious day, Jews go to great lengths to demonstrate a desire to mend their ways. Even the historic fasts, such as the Fast of Esther, which commemorates Esther’s request that all of the Jews of Persia/Medea fast for her as she approaches King Achashverosh, are focused on t’shuva, repentance. Only when the Jews did t’shuva did God nullify Haman’s evil plan. One connection between fasting and t’shuva is that it encourages people to focus on their spiritual self rather than their physical self. This special focus gives their soul an opportunity to strengthen its connection with the Divine. This Treat was last posted on July 13, 2010. Prepare today for tomorrow's fast by drinking a lot of water. While the Jewish calendar is lunar based, meaning that each month is independently calculated by the cycle of the moon, the rabbis of the Talmudic era also used the solar cycle and the earth itself to define time. "Rabbi Simeon ben Gamaliel said: If you wish to prove for yourself that the solar year exceeds the lunar year by eleven days, make a mark on a wall on the day of the summer solstice; the following year at that season, the sun will not reach it until eleven days later, and from this you may know that the solar year exceeds the lunar year by eleven days" (33:7). Rabbi Simeon ben Gamaliel said: It [the earth] has four names: erez, tebel, adamah, and arka. The name erez corresponds to the vernal (spring) equinox which forces up the crops; tebel, to the summer solstice, which lends savor to the crops; adamah, to the autumn, when the ground consists of clods of earth; and arka corresponds to the winter, which causes the crops to wither” (Genesis Rabbah 13:12). Today, we have pre-printed calendars for both the lunar and solar cycles. Nevertheless, as the sun reaches its zenith, the words of the sages remind us to enjoy the warmth of the sun, whose light is helping the crops to grow. If the sun is shining today, go out and celebrate summer weather (and remember how you felt at the time of the winter solstice). The juxtaposition between love and hate is fascinating. The relationship between love and hate has been a muse for poets, a conundrum for philosophers and a source of anxiety for psychologists. Many have said that love and hate are really two sides of the same emotion, perhaps because they are the two emotions that elicit the strongest overall sensations. “[It was taught] on the authority of Rabbi Simeon ben Eleazar: Love causes people to distort the norms of conduct. [This is deduced] from Abraham, for it is written (Genesis 22:3), ‘And Abraham rose up early in the morning, and saddled his donkey.’ Hate likewise causes people to distort the norms of conduct. [This is deduced] from Balaam, for it is written (Numbers 22:21), ‘And Balaam rose up in the morning, and saddled his donkey’” (Talmud Sanhedrin 105b). In the Torah, the phrase “rose up in the morning” implies a passionate desire to get something done. In the quoted Genesis 22, Abraham is most eager to fulfill God’s command to bring Isaac to the mountain. In Numbers 22, on the other hand, Balaam jumps at the opportunity to go and curse the Israelites. Even though both Abraham and Balaam had servants available who could saddle their animals, their eagerness to fulfill their vaunted missions caused them to get up early and saddle their own donkeys. Rabbi Simeon’s comparison can be read as simply an interesting insight into the Torah. It can also be words of wisdom for individuals to live by. When a person is impassioned about a cause (or another person), whether due to a feeling of love or hate, he/she must be careful to pause before allowing those feelings to distort reality. If you are experiencing a feeling of hate, start trying to be nice to that person in attempt to reverse that feeling. “Matchmaker, matchmaker / Look through your book / And make me a perfect match...” (Fiddler on the Roof). With the widespread proliferation of internet dating sites such as eharmony, match.com and JDate, the idea of a shadchan, a matchmaker, sounds archaic and primitive to most modern Jews. Yet, at one time, the shadchan played an important role in Jewish life, and in many traditional circles, he/she still does. Anyone who is single, or who remembers life before they found their special someone, will admit that finding the proper mate “isn’t easy.” This sentiment is not new. In fact, as far back as the Talmud (and most certainly before that) people bewailed the difficulty in finding a proper mate. Rabbah bar Channah said in the name of Rabbi Yochanan: It is as difficult to pair them [couples] as was the splitting of the Sea of Reeds! (Talmud, Sanhedrin 22a). In fact, the Midrash tells the tale of a Roman matron who paired a thousand male slaves with a thousand female slaves to prove that matchmaking was not so difficult. The next day, battered and bruised, they all begged her to release them from their marriage vows. One of the important functions of a shadchan is to narrow the playing field. After extensive interviews, the shadchan has a good idea of what a man may be looking for and will suggest women to him who meet that criteria. (In more traditional circles, the criteria are set by the parents). A shadchan is also there to guide the couple as they get to know each other, to help them see each other's best qualities. Because the shadchan facilitates such an important event in a person’s life (marriage), it is considered proper to pay the shadchan for his/her time and effort. At the very least, one should give the matchmaker a significant gift. This Treat was last posted on October 14, 2009. If you know a nice Jewish guy for a nice Jewish gal, make a casual introduction. On June 18, 1815, Napoleon and his armies were defeated by the Seventh Coalition, an alliance of British and European forces. It was the end of Napoleon’s march across Europe. It was also the end of an era that had been world-changing for the Jewish people. Napoleon’s legacy left a more egalitarian culture in societies that had been rigidly hierarchical, in which Jews had generally been second class citizens. While change may be good, producing liberal societies by force is not. When Napoleon was defeated, most of Europe celebrated, and many of the laws that had allowed Jews to be active citizens of the cities in which they lived were quickly rescinded. From the perspective of Jewish civil liberties, it was two steps forward and one step back. Waterloo and the Jews have one strange historic connection: Waterlooplein. In 1882, the city of Amsterdam filled in several of its canals, leaving an empty stretch of land that they named Waterlooplein (Waterloo Square) in commemoration of the Battle of Waterloo. Waterlooplein was located on the edge of the Jewish quarter, and the city instructed many of the Jewish street merchants to move their stalls to the square. By 1893, Waterlooplein was a well-known and popular daily market that was open every day except Saturday, in honor of Shabbat. 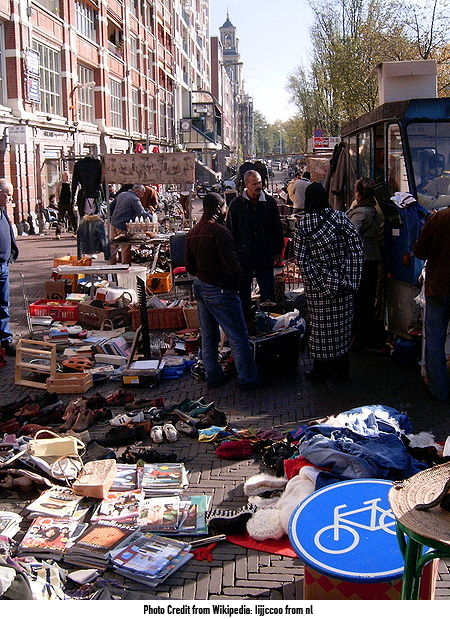 Waterlooplein remains an open air market to this day, but its Jewish character is gone. Although Waterlooplein was included within the Jewish ghetto created by the Nazis, the merchants who once sold their wares there were scattered about or sent to concentration camps. If you discover Jewish roots to a custom or location, share that information with your friends and family as a point of Jewish pride. Here’s a delicious sounding salad: romaine lettuce, spinach, cauliflower, red onion, red cabbage, chickpeas and strawberries. At first glance, this combination of fresh vegetables, chickpeas and berries sounds like the perfect easy kosher lunch. All of the ingredients listed are, by their very nature, kosher. However, five of the seven items are also natural habitats for a variety of tiny insects. The Torah states that eating insects, referred to in scripture as “swarming things,” is not just prohibited, but detestable. “And every swarming thing that swarms upon the earth is a detestable thing; it shall not be eaten” (Leviticus 11:41). The sages clarify: “Said Rab Judah: If one [knowingly] eats a worm in a cabbage, he incurs flogging. A certain fellow [once deliberately] ate a worm in a cabbage and Rab Judah had him chastised” (Talmud Maakot 16b). Most people would not deliberately eat a worm or a gnat but do not think beyond these common insects. They certainly are not concerned about tiny mites and aphids that are the most frequent infestations. But if one knows that spinach leaves are often the home to these tiny creatures, does that not make eating unchecked spinach a deliberate violation? Don’t worry, Popeye can still have his spinach, but only after the spinach leaves have been thoroughly cleaned and checked for bugs. Kashrut experts around the world have compiled, and continue to compile, the different methods for extracting the bugs. Some produce must simply be rinsed, while others must have their leaves individually inspected with a bright light, and still others (such as dried fruit) must be cut open in order to be checked. For more information on how to eat bug-free produce, most major kashrut organizations have detailed instructions available online for many varieties of produce, and it is best to check the necessary method for each food item. Today is Eat Your Veggies Day. Take a few extra moments and prepare a healthy lunch for your day. Wish your father a Happy Father's Day. “Don’t be chutzpadik” is the modern Hebrew equivalent of the classic American parenting admonition: “Don’t be fresh!” and “Don’t talk back!” The challenges of parenting have always included the art of balancing a relationship with one’s child while maintaining the proper amount of warmth and discipline. This is especially true during the “know-it-all-years,” when a child is most prone to contradict his/her parents. Jewish parents will be thrilled to find out that, when it comes to parent-child relationships, Jewish law is strongly on the parents’ side. The fundamental Torah statement, “Every man, your mother and father shall you revere,” is actually defined by a fascinating array of many specific laws. One popular example is that a child may not sit in the seat in which his/her father or mother customarily sit (Leviticus 19:3, and Rashi). (Following a discussion of required punishments, Rab Judah tells his father, “Teach it not thus,” and then proceeds to present what he feels is a more accurate understanding. This text follows that correction.) Samuel said to Rab Judah: ‘You keen scholar, do not speak to your father like this, for it has been taught: If one’s [father] is [unwittingly] transgressing a precept of the Torah, his son must not say, ‘Father, you transgress a Biblical precept’, but [should] say, ‘Such is written in the Torah.’ [The sages continue the discussion one step further]...Rather, he must say this, ‘Father, the following verse is written in the Torah [and let his father come to his own understanding]’ (Talmud Sanhedrin 80b-81a). Rather than pointing out a parent’s mistake, it is preferred that the child say, “Excuse me, is it possible that...” or find another discreet means of letting the parent know of his/her error. Most importantly, the above quote demonstrates that for a mitzvah like revering one’s parents, even the most highly regarded scholar must stay on guard. When speaking to your parents or grandparents, be careful not only of the words you use but of your tone of voice as well. “He who aggrandizes his name, loses his name. He who does not increase his knowledge, decreases it. He who learns not, forfeits his life. He who makes unworthy use of the crown (of the Torah) shall pass away” (1:13). While one might wonder how these statements are connected, most commentators agree that this entire Mishna is discussing the proper attitude toward Torah scholarship. A person should not seek to become great in Torah only to gain fame and respect, nor should one misuse one’s scholarly credentials. Additionally, becoming a respected scholar does not mean that one can rest on one’s laurels. No matter how much one has learned, a person should always make the effort to learn more. How does such a statement apply to those who are not Torah scholars? Have you ever noticed how the most miserable characters in the movies are those people whose lives are guided by their pride? They seek fame and fortune before all else. At its most basic, Hillel’s advice can be distilled to serve as a reminder that a person must always continue to develop themselves for themselves, and not because of what other people think. Make an effort to keep pride from directing your actions. Why don’t Jews eat meat and milk together? Because the Torah says: “Do not boil a kid in its mother’s milk” (Lo t'vashail g'di ba'cha'laiv eemo.) To the modern Jew, however, this phrase seems a far cry from mixing meat and milk. It could be assumed that the Torah was merely teaching a law about demonstrating compassion for animals. However, since the exact phrase is repeated on three separate occasions in the Torah (Exodus 23:19, Exodus 34:26 and Deuteronomy 14:21), the rabbis interpreted the law to forbid cooking, eating and benefitting from any combination of meat and milk. One might ask how this prohibition, which seems very specific, came to refer to all types of meat and any kind of combination. According to Rashi , the word g’di refers to all young domesticated animals (sheep, cows and goats). Only if the verse had said g’di eezim would it have been specific to a young goat. The reason that the prohibition applies to all meat (even that of an old cow) is possibly because, once butchered, one cannot distinguish the age of the animal. Similarly, if one has meat together with a piece of cheese, one cannot be certain that the cheese was not made from the milk of the already butchered mother. Therefore no combination of meat or milk can be allowed. The Torah law applies specifically to meat, not poultry--since mother birds do not produce milk. However, in order to prevent confusion (since people commonly regard poultry as meat), the sages extended this law to poultry as well. Why did God command this separation? Many have offered explanations but, in truth, the laws of mixing milk and meat are known as a chok, a statute that we follow because God said so, not because we understand its purpose. This Treat was last posted on May 4, 2010. If you crave a cheeseburger, try a veggie burger with cheese or a meat burger with soy "fake-cheese." When Rabbi Jacob Levi Saphir (1822-1886) was 10, his family moved from Oshmiani, a town in the greater municipality of Vilna, to the city of Safed, Palestine (Israel). By the time he was 14, Saphir had been orphaned and relocated to Jerusalem after the residents of Safed rebelled against Mohamad Ali, Pasha of Egypt. For the next two decades, Saphir remained in Jerusalem. He married and became a rabbi and a teacher. It is said that he was also fluent in German, Spanish, Italian and Arabic, as well as Yiddish. Saphir’s adult travels began in the mid-1850s, when he was asked to raise funds for the rebuilding of the famed Hurvah Synagogue. His journey lasted for close to 5 years, during which time he visited Egypt, Yemen, India, Australia, New Zealand and more. All of his travels were recorded in a book he later published under the title Even Saphir (Stone of Saphir). Although many of the countries Saphir visited had ancient Jewish communities, recorded descriptions of their lives were still rare. His travels to Australia occurred only a few years after the Australian gold rush. Thus Saphir was one of the first to record the sociological development of these communities during a time of mass immigration. In addition to Even Saphir, Saphir composed several smaller works. His Iggeret Teiman Hashenit (Second Yemenite Letter, the first Iggeret Teiman was written by Maimonides) has been credited with undermining Judah ben Sholom, a false messiah in Yemen who managed to raise tremendous funds for himself under false pretenses. In order to publish Even Saphir, Saphir was forced to travel again, with his further journeys taking him to Europe to seek a publisher as well as to raise funds for publishing and for several important Jerusalem charities. Beyond his published works, Saphir was one of the first Jewish researchers to understand the importance of the Cairo Genizah (depository of religious papers). He died in Jerusalem in on 3 Tammuz 1886. Seek to learn about "foreign" Jewish cultures in order to better understand Jewish life as a whole. Studies in comparative religion focus on the similarities of different religions. It is fascinating to note the way religions overlap. For instance, the dietary laws of Jews and Muslims (kosher and halal) or the similarity between immersing in a mikveh and the act of baptism. When the idolater had gone, Rabbi Yochanan's disciples said to their master: ‘Master! You put off this man with a mere makeshift, but what explanation will you give to us?’ Said he to them: ‘By your life! It is not the dead that defiles, nor the water that purifies! The Holy One, blessed be He, merely says: I have laid down a statute, I have issued a decree. You are not allowed to transgress My decree; as it is written (Numbers 19:2), This is the statute of the law’” (Numbers Rabbah 18:20). In the traditional Ashkenazi community, the bride and groom, customarily, do not see each other during the week before the wedding. The Shabbat before the wedding* is particularly exhilarating and, at the same time, anxiety filled. To calm the bride and make her joyous on Shabbat afternoon, her female family members and friends host a small gathering for her -- usually at the time of Seuda Shlishit (the third Sabbath meal). While the Shabbat Kallah is a fairly new tradition and there are no set customs or ceremonies, it could perhaps be seen as a religious “bachelorette” party. In addition to divrei Torah (words of Torah), the women share with the bride words of wisdom (about marriage) and their blessings for a beautiful wedding and a happy future. Even though there are no sources for this particular tradition, a celebration for the bride on Shabbat seems appropriate, since Shabbat itself is often referred to as a “kallah.” According to the Midrash (Jewish legend) cited in Bereishit Rabbah (11:8), the Sabbath declared: “Master of the Universe, every day of the week has a mate except for me!” The Almighty answered: “The People of Israel will be your mate.” Thus, Shabbat and the Jewish people were brought together in a holy union, just as a bride and groom form a holy union on the day of their wedding. *On Shabbat morning, the groom celebrates his “aufruf,” when he is honored with an aliyah (being called up) to the Torah. This Treat was originally posted on December 4, 2009, under the title Shabbat Kallah. If you know a bride and groom, go out of your way to make the Shabbat before their wedding exceptionally joyous. Aaron, the first High Priest of the Jewish people, was renowned for his efforts to make peace between his fellow Jews ( "Be among the disciples of Aaron, love peace and pursue peace..."- Ethics of the Fathers 1:12). It is said that he would even use little white lies in order to draw two people into a reconciliation. Although the Torah ideal is that everyone should “love your fellow as yourself” (Leviticus 19:18), we do not yet live in a utopian world. And while most people do try to avoid confrontation, there are, of course, some people who are naturally quarrelsome. “Reish Lakish said: ...it may be inferred that one should not persist in a quarrel. Rab said: Any one who persists in a quarrel transgresses the commandment: ‘one should not be like Korach, and like his company’ (Numbers 17:5). He deserves, says Rabbi Assi, to be smitten with leprosy” (Numbers Rabbah 18:20). Korach was a cousin of Moses, who was upset that Aaron was appointed High Priest. His pretense for creating a larger quarrel was that the sons of Amram were taking all of the leadership roles for themselves. (Remember, God instructed Moses to anoint Aaron.) Korach rallied 250 followers to stage a protest. In the end, he and his followers were felled by Divine wrath. People argue when they disagree, when they are jealous, when they are hurt or sometimes for reasons that they later cannot recall. If an argument cannot be avoided, it is important to make an effort to reconcile or even to just let go of the argument. After all, there is no greater force in the world than shalom, peace. If you have a long standing quarrel with someone, do your best to make amends. Today, June 5, 2013, is the United Nations Environment Programme’s World Environment Day. The theme of the day is “Think.Eat.Save.” Its focus is on preventing food waste. The pithy little sayings above, credited to parents around the world, have a fascinating basis in Jewish life. Judaism not only expects individuals to demonstrate gratitude for the food they have, but to also take measures not to waste that food. Judaism’s waste management program for food actually begins in the field, when the Torah instructs the farmer to allow those in need to collect that which is left on the ground after the harvest. Not only is this a lesson in giving charity, but it is also a built-in system to help decrease food waste. The most prominent halacha (Jewish law) that deals with preventing food waste is known as bal tashchit. This translates to "dare not waste," and a Jew’s goal is not to waste. The concept of bal tashchit is derived from the commandment not to destroy fruit bearing trees, but is understood within Jewish law to refer to any situation of waste or wanton destruction. 1) Review the contents of your pantry and refrigerator on a regular basis so that food is eaten before it spoils. 2) Find creative ways to re-serve leftovers. 3) If you host a party or event, arrange in advance with a food bank or similar organization to receive the leftovers from the event. Be conscientious in the amount of food you put on your plate. 1) Is the donor dead? This may seem like a bizarre question. But, by whose definition of death has the person been declared dead? Organs are often harvested from the “brain-dead” donor - when the donor’s brain shows no signs of activity - because many of the organs that are sought for donation must be removed from the donor while the heart is still pumping. Many Jewish authorities, however, define halachic death as cessation of heartbeat. According to these authorities, the doctor might be killing a living donor in order to harvest the organ. 2) How is the organ going to be used? Is there an immediate need for the organ to save a life? If so, then there is no question that an organ may be used (assuming the donor is halachically deceased). Often, however, organs are harvested and kept for organ banks (waiting for a donor) or for research. This is problematic according to Jewish law, which normally requires the entire body to be buried. Because of the complexity of these laws, it is suggested that those who wish to donate their organs should consult with their local rabbi or stipulate in their living will that, should such a situation occur, their rabbi must be consulted. This Treat was originally posted on January 27, 2009. When you read of a call for bone marrow donors, volunteer to be tested for the possibility of a match. . The death of Rabbi Shimon ben Gamliel, which occurred in 70 CE, on 20 Sivan, is part of the well-known and tragic episode of the deaths of the Ten Martyrs, that is included in the liturgy of Yom Kippur and Tisha B’Av. In response to the Jewish uprising, the Roman authorities outlawed both the study and teaching of the Torah. On top of the most wanted list was Rabbi Shimon ben Gamliel, who was the nasi of the Sanhedrin (the president of the “Jewish legislature”) and one of the primary supporters of the uprising. Captured along with Rabbi Ishmael the High Priest, Rabbi Shimon was beheaded. Rabbi Shimon was the descendant of scholars. His father was the oft-quoted Rabban Gamliel, who was a grandson of the renowned Hillel. Similar to Hillel, Rabbi Shimon is portrayed as what might now be called “a man of the people.” He used his knowledge of the law to help others. For example, it is recorded in the Mishna (Keritot 1:7) that when the price of doves became inflated and the people were hesitant to buy doves for the sacrifices required after childbirth, Rabbi Shimon declared that a woman only needed to bring one instead of five. Overnight, the price crashed. It is interesting to note that the Talmud also describes “that when [Rabbi Shimon] rejoiced at the place of the Water-Drawing, he used to take eight lighted torches [and throw them in the air] and catch one and throw one and they did not touch one another” (Talmud Sukkah 53a). “All my days have I grown up among the wise and I have not found anything better for a person than silence. Studying Torah is not the most important thing, rather fulfilling it” (1:17). Follow Rabbi Shimon's lead and take an active part in communal celebrations.